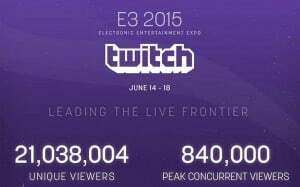 Twitch Stats: 21M Unique Viewers During E3 2015 | Nerd Much? 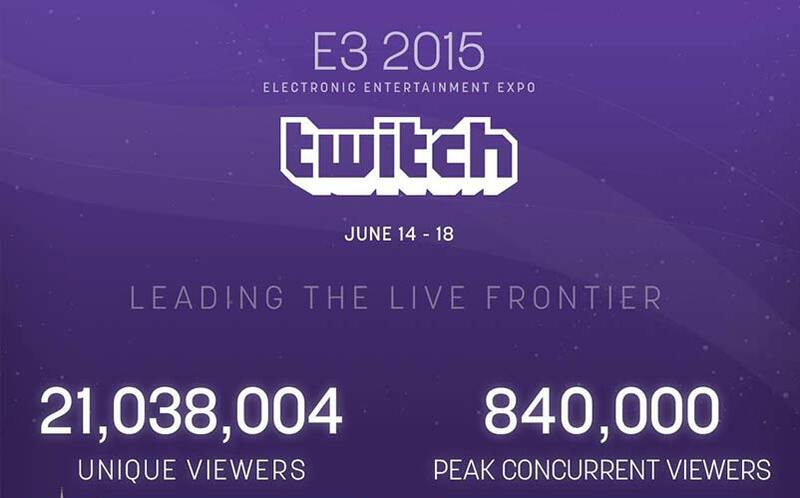 Twitch has shared some of its viewing stats from this year’s E3 2015 via an infographic, noting how many viewers it attracted during this year’s show. Twitch attracted over 21 million unique viewers, which is more than the entire populations of London, NYC and San Francisco combined. It’s also 9 million more unique viewers than Twitch had during last year’s E3. The video game streaming service also had 840,000 peak concurrent viewers at one point, which is 16 times the actual physical E3 2015 attendees in LA. Gamers watched a total of 11,986,000 hours of E3 content during the show. Twitch noted that Microsoft had the most concurrent viewers for their press conference out of all of the hardware companies, and EA had the most concurrent viewers out of all of the software developers. “After crunching the numbers from E3 2015, no other live streaming platform came close to the success the Twitch community achieved,” said director of programming Marcus “djWHEAT” Graham. These Twitch stats are quite impressive, are they not? Remember when Twitch was first introduced and we all thought it was generally a dumb idea? Well, I remember. We were clearly proven wrong, and we now spend time ourselves on Twitch daily. More and more gamers around the globe are picking up their own game capture cards and streaming daily on Twitch.